Ernie demonstrated incredible resolve to not only keep playing, but to play the remaining 17 holes in just three over, on a day when even players who weren't six-putting were struggling to shoot good scores. "I can't explain it. I couldn't take the putter back," said Els. "I had three goes and then it went all over the place. Something withholds you from doing your normal thing. I could go on the practice putting green and make 20 straight three-footers." Els, who suffered with the yips several times last year, seemed to be finding it impossible to deal with his demons. "I'm not sure where I'm going from here. If you have snakes in your brain, it's difficult. Maybe I need a brain transplant." We're not sure if he had a brain transplant in the last week, but at the RBC Heritage, Els was a new man. 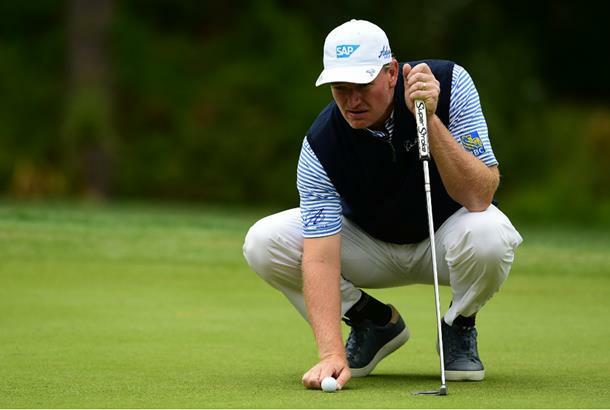 He was the third-best putter in the field across the week, and best on his own – by a distance – over the weekend. Els shot a 66 on the final day to finish tied-14th. Els unsurprisingly switched putter after his Masters debacle, and his new SeeMore mallet seemed to be working very nicely. He took just 23 putts on the Saturday and 26 on the Sunday, gaining a whopping 10 strokes on the field. Els currently ranks 36th on tour in 'strokes gained putting', although it's worth noting that the Masters is not included in that statistic.